In just one hour of insightful training, you'll move from understanding the flow chart of the QuickBooks home page to entering transaction details more accurately and efficiently. 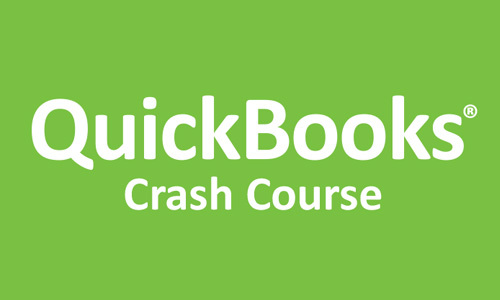 We'll provide you with a number of the most common mistakes QuickBooks users make — along with tips on how to avoid them. The amount of financial information associated with operating a business today can be intensely overwhelming. From invoices and bills to bank statements and receipts, bookkeepers and accounting professionals are inundated with both paper and electronic forms of financial data that require accurate and timely attention. With so much at stake, it's imperative that you have a financial data management system that works for your organization and its workflow. You arrive at your desk in the morning to find it covered with financial papers that all require logging of information. As the day continues, you receive a continuous stream of requests from customers, vendors and coworkers for data that you know you have recorded somewhere. Meanwhile, you're busy trying to update spreadsheets and reports that help make sense of all the numbers. What if you had a system that allowed you to organize, input and manage all of your financial records while streamlining your organization's productivity and improving your data entry accuracy? QuickBooks Pro/Premier is the software of choice for millions of accounting, bookkeeping and financial professionals. QuickBooks provides companies and individuals with a system for creating financial structure while maintaining compliance — even for users with little or no accounting experience. It allows users to track most financial business processes, including expense tracking, invoice preparation and sending, sales receipt management, purchase order processing and more. However, if you're not familiar with the functions and features of this powerful software, you could be missing out on all that it can do for you. How should I differentiate invoices from sales receipts? What are Items and how do I set them up? How do I manage un-deposited funds? Is it smarter to enter bills or write a check? How do I record purchases made with a debit card? What is the best system for tracking and paying sales tax? Is there a way to speed up the search for things I've entered? Will I ever understand how to enter data correctly into QuickBooks? Don't spend another frustrating minute searching for answers to these pressing questions. In just one hour of insightful training, you'll move from understanding the flow chart of the QuickBooks home page to entering transaction details more accurately and efficiently. We'll provide you with a number of the most common mistakes QuickBooks users make — along with tips on how to avoid them! After the program, you'll be wondering why you waited so long to take control of the information at your fingertips and get a grip on all of your financial data. Are you dreading the impossible task of wading through your financial information and crossing your fingers that you have it all entered correctly? Now, in just one hour, you'll learn to enter financial transactions properly and maintain your financial records with confidence. Discover how easy it is to make QuickBooks work for you … and put an end to worrying about the way you manage your financial figures and processes! 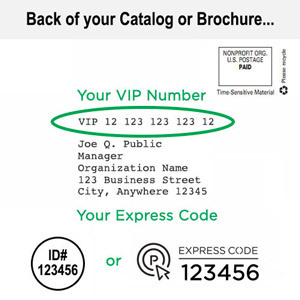 Streamline your data entry and increase your confidence using QuickBooks! This webinar is perfect for professionals in accounts payable, accounts receivable, general accounting, payroll, bookkeeping and other positions with financial responsibility. It's ideal for QuickBooks users of all levels from organizations of all sizes; from those just learning to set up their financial management system to experienced QuickBooks users looking to learn about the recommended methods for properly and efficiently utilizing this powerful program.